It is said that no journalist gets close to Paul McCartney. His natural guardedness and evasiveness have been compounded by fifty years of constantly dealing with prying, insensitive, and often clueless “reporters” trying to get a story out of one of the most well-known, wealthiest, and at times, oddest, musicians in the world. He still gives tons of interviews. But, as Rolling Stone reporter Chet Flippo wrote in an old McCartney bio, when the reporter leaves the glow of being in the presence of a Beatle and actually reviews their tapes or notes, there is a cold realization that they have come away with nothing of any substance. Does Tom Doyle break through that wall? For the most part, as even he admits, no. But he feels he has been lucky enough to get glimpses of the unguarded McCartney, mostly by virtue of being Scottish (a quality that McCartney seems to love), and the fact he is a long-time writer and editor for the classic rock-worshipping music mag Q, and not some Fleet Street hack looking for an angle on his messy divorce or re-hashing the same Beatles questions for the 10,000th time. Perhaps to avoid over-familiar territory, Doyle has chosen to focus on the 1970s. 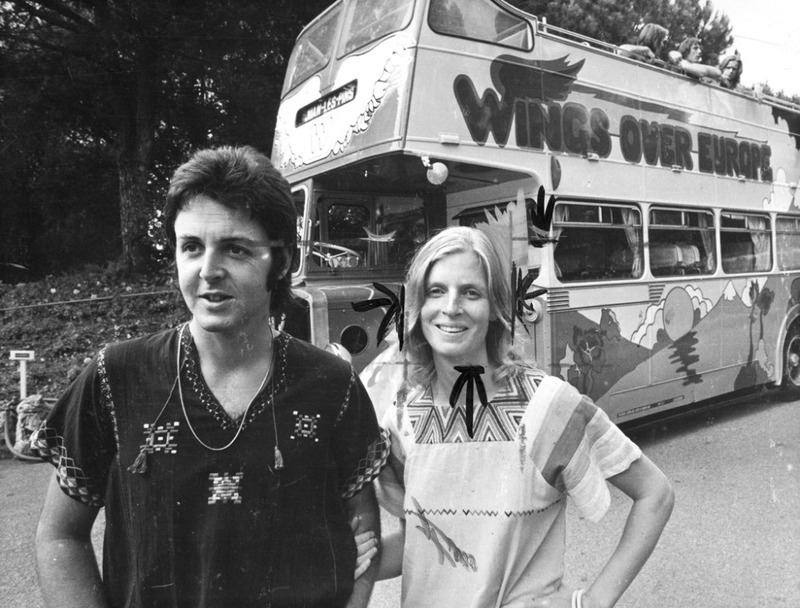 Under the multi-platinum surface of Wings was a schizophrenic and frenetic decade for McCartney. Less resonant than the cultural upheaval that was the Beatles and the ballyhooed 1960s, but perhaps more interesting to someone who has had their fill of Beatles/60s mythologizing. Doyle bookends his text with a Prologue and Epilogue from his numerous McCartney interviews of the 2010s. He notes that McCartney’s hair now seems professionally colored, rather than what he suspects were appalling home dye-jobs in the 1990s. (It’s this type of detail written in a clear, informal prose style that makes this book a particular pleasure.) Another reason I really like Doyle: He actually asks about Paul’s goofy, cheery, thumbs-up “Macca” persona of the last quarter century that has led to countless bad Dana Carvey-style impressions and a degradation of his standing among those who fancy themselves “serious” rock fans. After setting the stage by talking with the 70ish, newly-articulate, reflective grandfather Sir Paul McCartney, we are plunged headlong into the decadent, hedonistic, anything-goes 1970s, where Paul, his wife and kids, and his ever-changing band rambled across the globe like barnstorming, millionaire hippie gypsies, releasing music and taking on projects that were by turns brilliant, horrible, and utterly confusing. There were smoke bombs, laser shows, drug busts, spangly outfits, plaid bell-bottoms, clogs, mullets, and the occasional ill-advised moustache. Was he trying to outrun the shadow of the Beatles? His first solo album, McCartney, was literally a one-person show, with Paul playing every instrument. When it was released in April 1970, it was accompanied by a self-written press release effectively announcing the end of the Beatles. 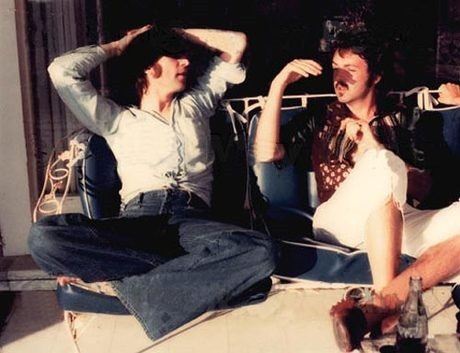 Thus, Paul was blamed and hated for “breaking up the Beatles” for years until the truth came out: John had actually ended the Beatles in September 1969, but was persuaded to keep quiet about it by new manager Allan Klein, who was negotiating a new royalty rate with their label, EMI. McCartney, who never signed with Klein, was under no such responsibility. John was reportedly furious about not getting to be the one to announce the break-up. 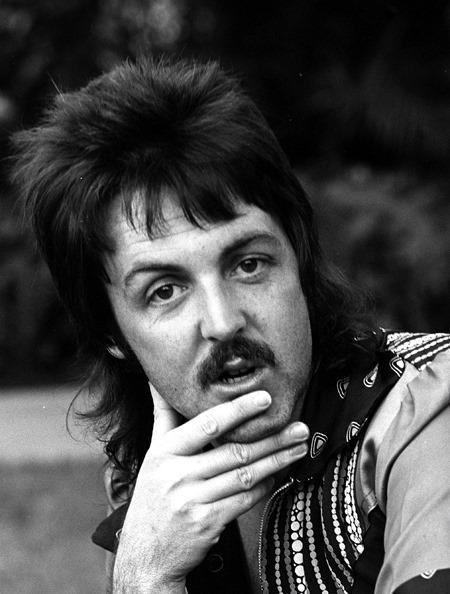 His next album, 1971’s Ram, was a response to those who felt McCartney was piecemeal and amateurish. He hired the best session players and the most expensive studios in New York City. The end result was credited to “Paul & Linda McCartney,” because anything credited to his own name would be considered a “frozen asset” in the lawsuit splitting up the Beatles. He spent a fortune re-recording all of the Ram songs as instrumentals with a full symphony orchestra, and sat on the tape for six years. 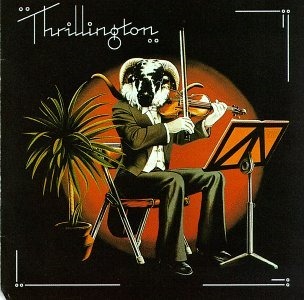 It was finally released in 1977 under the title Thrillington, by pseudonymous Percy “Thrills” Thrillington. 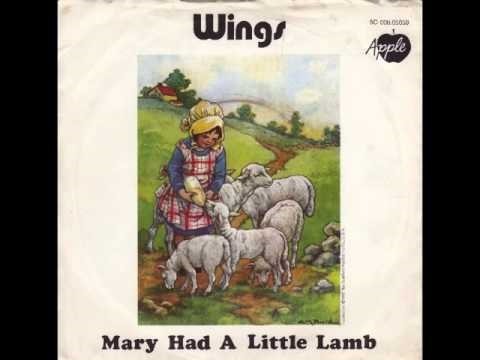 The first Wings album, Wild Life, consisted of eight songs, five of which were “first takes,” two of which consisted of literal nonsense that McCartney babbled on the spot as the tapes rolled. “Mumbo” and “Bip Bop” are not jewels in the McCartney songwriting crown. The first Wings tour in ‘72 consisted of driving around the UK in a cramped van and playing unannounced gigs at college dining halls. They had so little rehearsed material they played many songs twice. He did an hour-long TV special called James Paul McCartney, consisting of live performances and pre-filmed segments. He wrote a song specifically for the special, “Gotta Sing, Gotta Dance,” which he performed with in a sparkly tux and gold platform shoes in front of a crowd of chorus girls made up on one half to look like chorus boys. Seiwell and McCullough quit right before the recording sessions for Band On The Run, in 1973 — which took place in a corrugated tin shack in the insanely dangerous Lagos, Nigeria, then under the rule of one of its many brutal military dictatorships. McCartney barely escaped a vicious mugging with his life, and had to face down the enraged Afrobeat pioneer Fela Kuti who stormed into the sessions convinced McCartney was there to “steal” African rhythms. 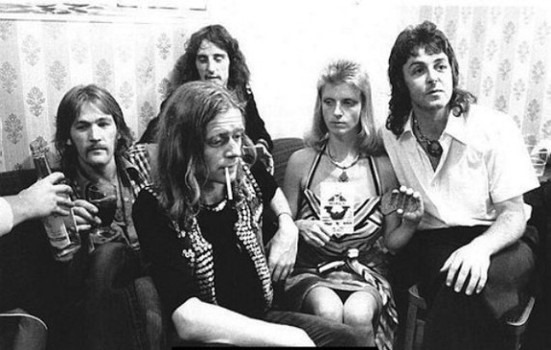 During a 1974 stay in Nashville, Wings recorded a song written by Paul’s father, Jim, in the 1930s. 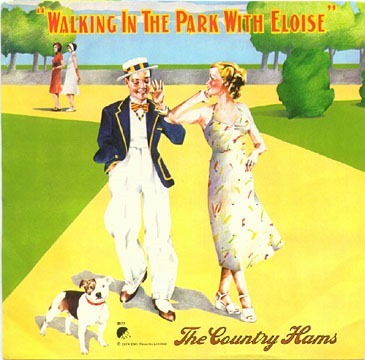 “Walking In The Park With Eloise” was released under the pseudonym The Country Hams. 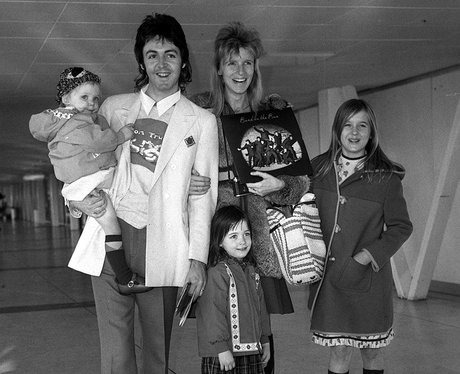 (“I recorded a song you wrote,” Paul told his dad. “No, I’ve never written a song,” his father insisted. “I just make them up.”) The “Country Hams” showcased the Wings Mark II line-up: The McCartneys, Laine, American karate black-belt and clean-living enthusiast Geoff Britton on drums, and a twenty-year-old Scottish walking liquor store named Jimmy McCulloch replacing Irish walking liquor store Henry McCullough on lead guitar. After another weird stand-alone single, 1974’s “Junior’s Farm,” (which attempts playful Lennonesque wordplay but fails), Britton was fired for being generally no fun. 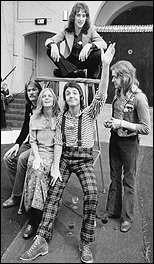 The next Wings album, Venus And Mars, was recorded in New Orleans in 1975. Secret heroin addict Joe English was now on the drum stool. John Lennon, then separated from Yoko Ono, was within days of flying down and joining the sessions when he suddenly reconciled with Ono and the idea was dropped. His last face-to-face meeting with Lennon was April 24, 1976. They spent a quiet evening hanging out at Lennon’s NYC apartment and watching Saturday Night Live. 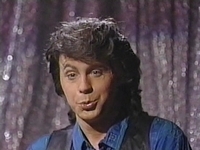 By amazing coincidence, it happened to be the episode where SNL producer Lorne Michaels famously offered the princely sum of $3000 for an on-air Beatles reunion. They almost called a cab and headed down to 30 Rock on the spot, but decided against it in the end. 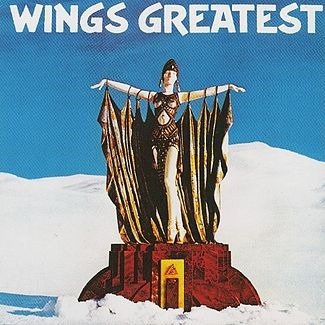 Wings toured the U.S. and the rest of the world in 1976, resulting in the triple live album Wings Over America, the first triple album to reach #1. Linda took over as lead vocalist of Wings for one 1977 single, “Seaside Woman,” released under yet another fake name, Suzy And The Red Stripes. The other single that year by Wings, “Mull of Kintyre,” recorded with a full bagpipe band, became the all-time best-selling single in the UK, and has become kind of an unofficial Scottish national anthem. 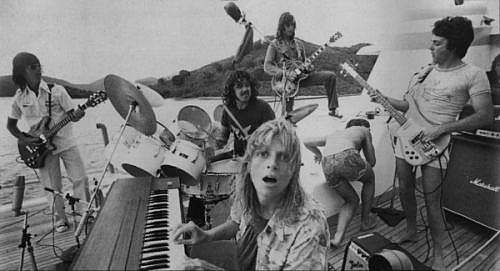 The next Wings album, 1978’s London Town, was recorded on a yacht in the Caribbean. English and McCulloch quit at the end of the London Town sessions, and were replaced by…oh, who cares? 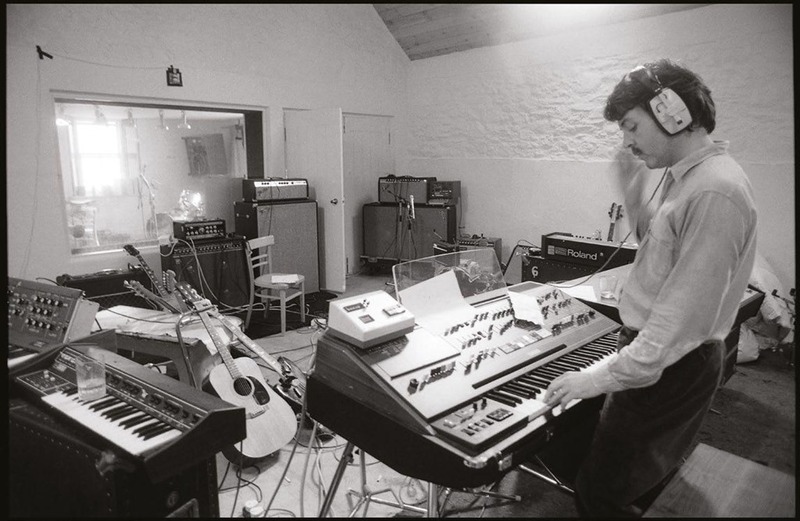 In a stunning move, the final Wings album, Back To The Egg, was recorded close to home, in a castle in Kent. On the eve of a Wings tour of Japan in early 1980, McCartney was busted entering the country with eight ounces of marijuana. He faced seven years in prison under the strict Japanese drug laws. Fearing an international incident, Japan released McCartney after ten days of sleeping on a straw mat in an eight-by-four cell, and bathing communally with the other prisoners. All of this, and much more, is detailed in Doyle’s tome, which moves along nicely without neglecting the quirks and details that music nerds crave. Certainly, this is not all there is to McCartney’s tale. Lots of music, drama, sadness, and triumph remained in store for him in the coming decades, and maybe enough to warrant their own books. (For a thorough overview of McCartney’s whole life, I recommend Howard Sounes’ 2010’s Fab: An Intimate Life of Paul McCartney.) But the 70s was its own odd beast, as distant to us now as the Great Depression was to the original Wings fans. 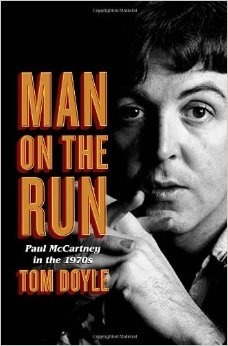 “Hope I don’t end up coming off like the world’s greatest nutter,” was McCartney’s final statement to Doyle when discussing the possibility of this book.